I started a writing course with the awesome Angie Wiseman this morning. Wild Writing for Women. I forgot about it until my alarm reminded me 10 minutes before 9am. That’s, unfortunately, how I do things. I rushed to grab some coffee (luckily there was some iced in the fridge!) and rubbed the mascara off from under my eyes with coconut oil before we started (this is a video course, right? I wondered). I put on a bra too. Just in case. Grabbed my computer and joined and hit my edges quickly. “We’ll be writing for 12-15 minutes” she said. “Then we’ll each go around and read what we wrote.” I wanted to close my computer in that moment but knew that I wouldn’t. I knew I wanted to and needed to be here. Needed to stay. This is one of the writings that came out, unedited. Thank you. I’m from the fire of the women, the long lineage of strong women. I’m from the tales told in hushed voices. I’m from the songs, sung over scotch and sherry. I’m from the secrets too giant to whisper. I’m from the sad moments that stay inside the heart, alone. I’m from the cool breezes beneath a full moon. I’m from the howls of wolves and the cries of babies. I’m from regret and sadness. I’m from big joy that bursts like flames. I’m from mountain lakes untouched by men and rivers with clear ice cold water. I’m from activists and survivors. I’m from soft, warm, nurturing hands. I’m from the edges and the shadows. I’m from the womb of nothingness and everything. I’m from the headlights in the driveway that usher the news. I’m from heavy weights and light words. I’m from honey that drips ever so slowly and sweetly. I’m from her voice that always said yes. I’m from his wandering soul. I’m from lies and truths shrouded in love. I’m from the freedom of the sky. I’m from the thighs of the mothers who came before me with longing and power. I’m from legends and myths. I’m from old, warm quilts wrapped around them. I’m from pain they didn’t, couldn’t mention. I’m from fear of losing. I’m from fear of being; really being. I’m from fingers folding crisp sheets that smell of grass. I’m from hot chocolate sauce and dollar bills. I’m from so many places and spaces. I’m from the time before they considered each other. 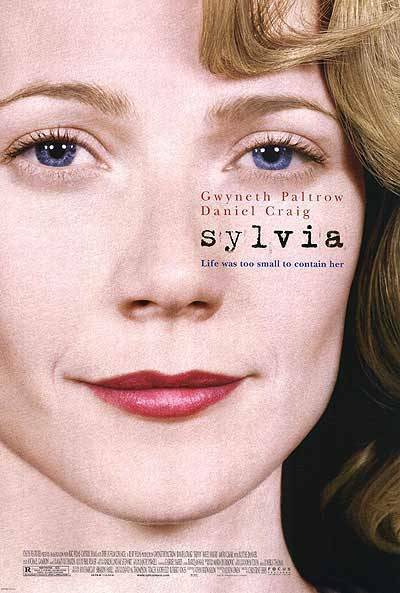 Just re-watched a small portion of the movie Sylvia as I worked on a website. I wonder, why did this movie not get better reviews? Your thoughts? I thought Gwyneth Paltrow was brilliant (though maybe I’m biased). I found the movie beautiful and sad and poetic. Exactly what a movie about Sylvia Plath should be. Did you see the movie? What were your thoughts? I know, it’s several years since the movie came out, but I stumbled into it again today. my falling sinks, as if standing on fishes. A gene targets the thirst. Like an itch scratched only once, then forgotten. and her cries echo through the matrix.